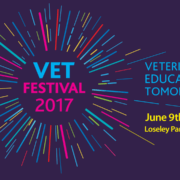 Join IDEXX Animana and vets from across the UK for this year’s Vet Dynamics Conference! This year’s conference will address the need for a new business paradigm in the face of changing demographics, economics and technology in the veterinary industry. Come by booth 15 for a free demo of Animana and a chat about practice management: we’ll tell you all about how our Cloud-based practice management system equips independent veterinary practices to respond to these and other changes in the veterinary market. Any questions about Animana, the conference, or the future of veterinary practice management? Don’t hesitate to contact us before or during the conference.